“I never wanted to be a writer at all. I felt Sophia: Princess, Suffragette, Revolutionary had to be written, because no one had done it before, and I couldn’t understand why this extraordinary woman didn’t have a book on her. 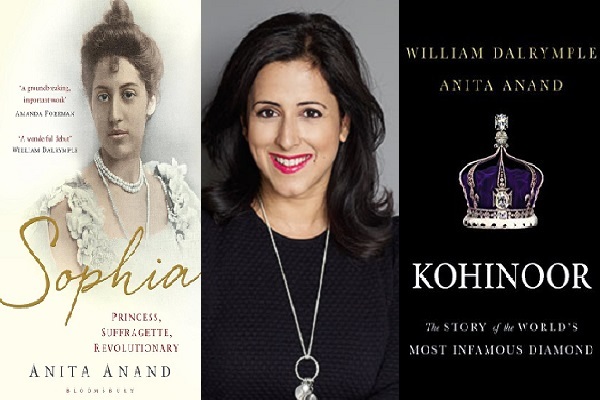 I was so fascinated by Duleep Singh, Ranjit Singh and Punjab, and in Sophia… the Kohinoor has just a cameo role. It was the same for Willy (William Dalrymple, co-author) who had just written Return Of The King on Afghanistan. So we just decided that we had bits of a story that really needed to come together. That’s how Kohinoor came about. Read our interview with Anita on her debut book Sophia here.